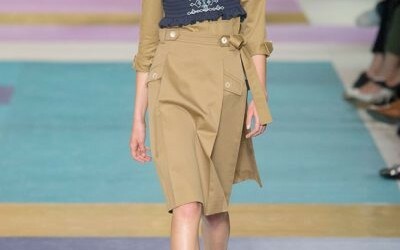 Miu Miu Spring 2017 dresses are prepared in the western style and these dresses are unique in look and style. The dresses of this fashion brand are comprised of the short shirts and skirts and the tops are added to show the new and stylish cuts of the dresses. 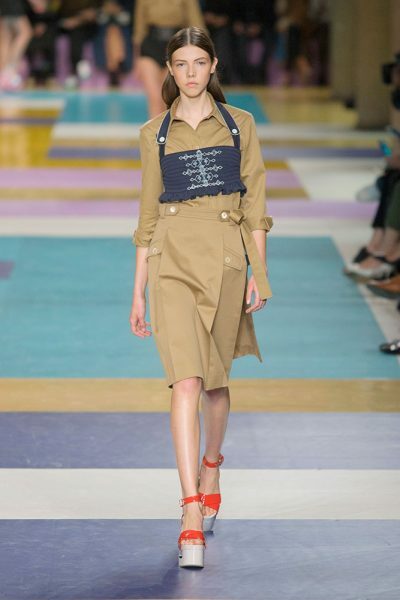 The models wear the dresses and walk on the runway to exhibit the new collection of Miu Miu Spring 2017. The baby dresses are transformed into cropped blouses and some dresses are completed with black ties. The dresses are added with beach slides or wedge sandals to enhance the look of the women and girls.